Irregular dietary habits and sedentary lifestyle has led to an increase in gastric diseases and ailments among people across the world. To combat diseases like gastric ulcer, indigestion or gastro-intestinal diseases, Unichem has developed fast-acting and effective solutions. The flagship brand of Unichem – Unienzyme, has recently been launched in the OTC space to gain market share in the growing GI segment. 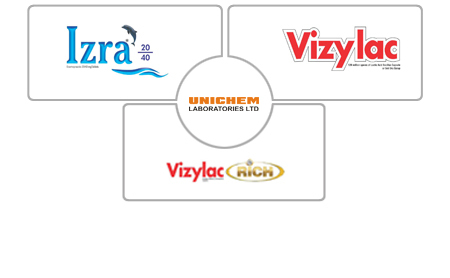 Unichem is also focusing on other GI products to strengthen its presence and foothold in the GI segment. Unichem is also planning to introduce many new products in same therapy area in coming years.